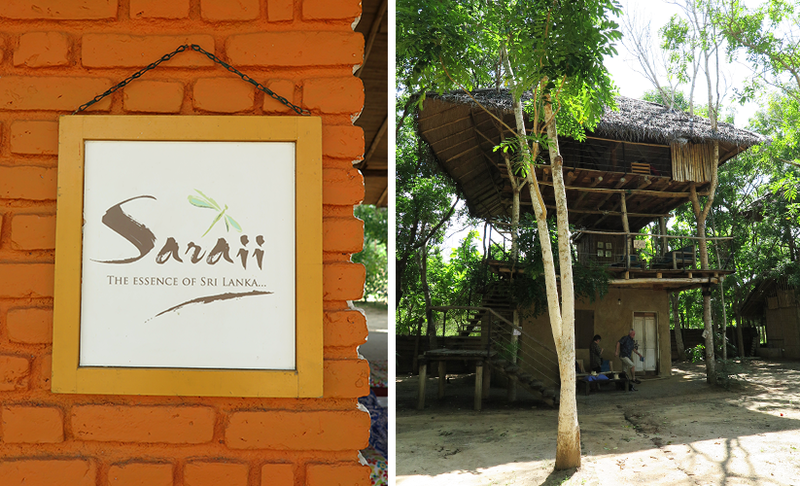 If you’re planning to travel to the southeast heading for Yala National Park, we recommend staying at the Saraii Village eco hotel Sri Lanka. 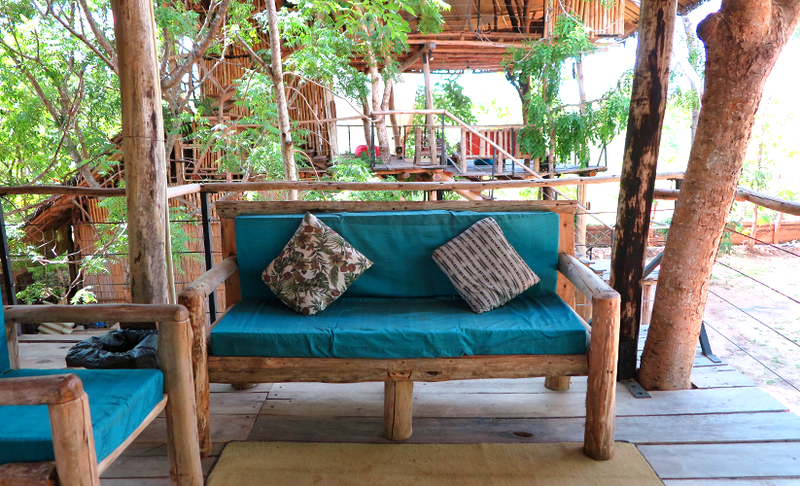 The hotel is situated on a reforested piece of land, blending in perfectly with the surrounding nature. 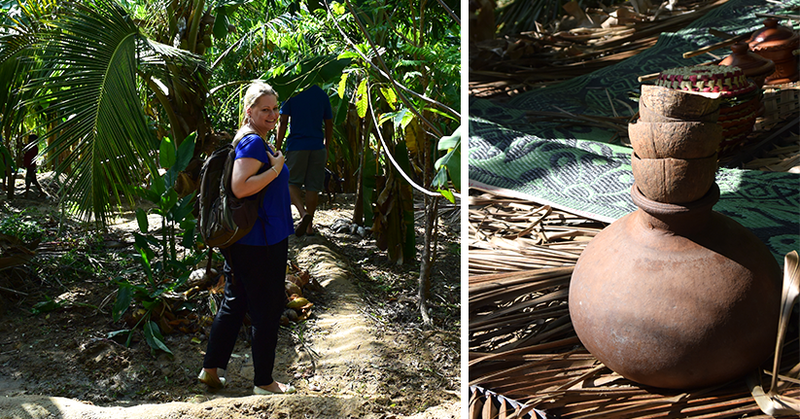 You can spend the night in huts manually built of clay, or in open space tree houses. 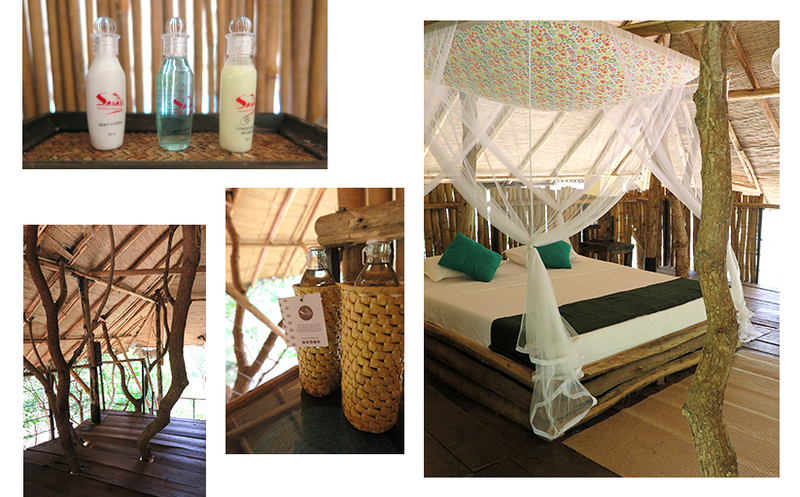 We were lucky enough to spend a night in one of the tree houses that span several platforms. The first locals to greet us were nimble tree squirrels bustling around the branches who didn’t seem to be perturbed by our presence. 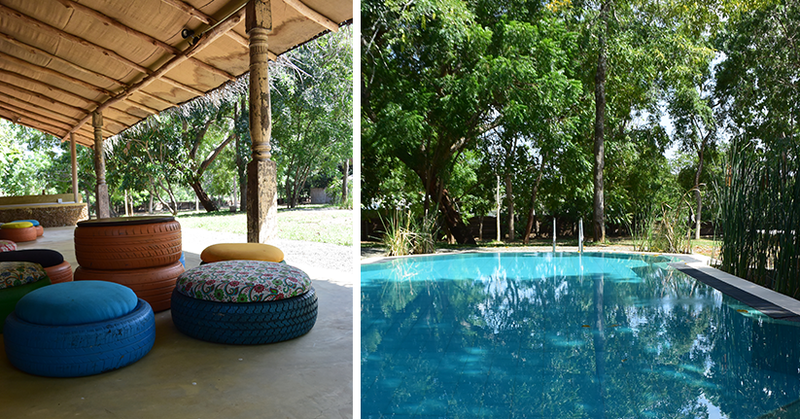 The Saraii Village is a spacious estate with shady sitting areas and a big pool in a natural and quiet environment – perfect for a relaxing time! Naturally, the tourists are not the only ones who like that: besides the mentioned tree squirrels, we met a variety of birds including ducks and even a monitor going about their business on the premises. 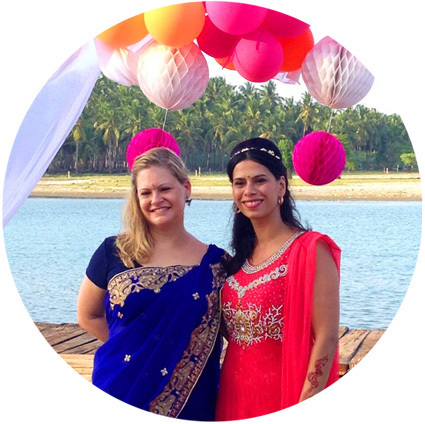 This eco hotel Sri Lanka made a lasting impression on us. You can’t beat resting surrounded by nothing but a mosquito net amidst nature, listening to the rustling of leaves and the diverse animal sounds. We would have loved to stay in Saraii for longer. 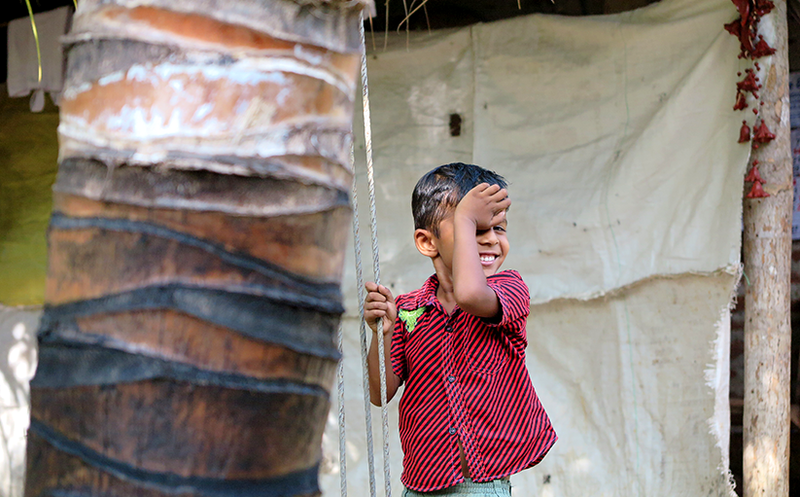 Part of the Saraii Village’s unique approach is to include the surrounding area and its inhabitants. Like the families who supply the hotel staff with self-made meals to make some additional money. 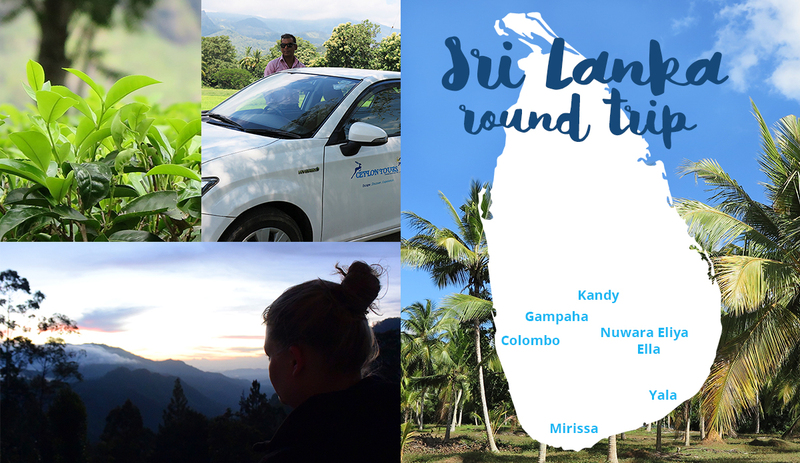 If you would like to stay at an eco hotel Sri Lanka and support sustainable tourism, the Saraii Village is the perfect choice for you. 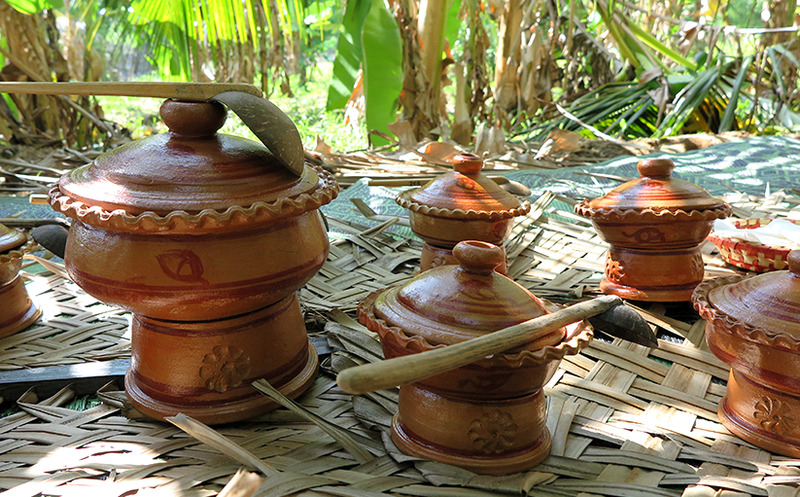 Visitors can participate in a variety of local activities like fishing, basket weaving or making pottery to experience the culture at first hand. 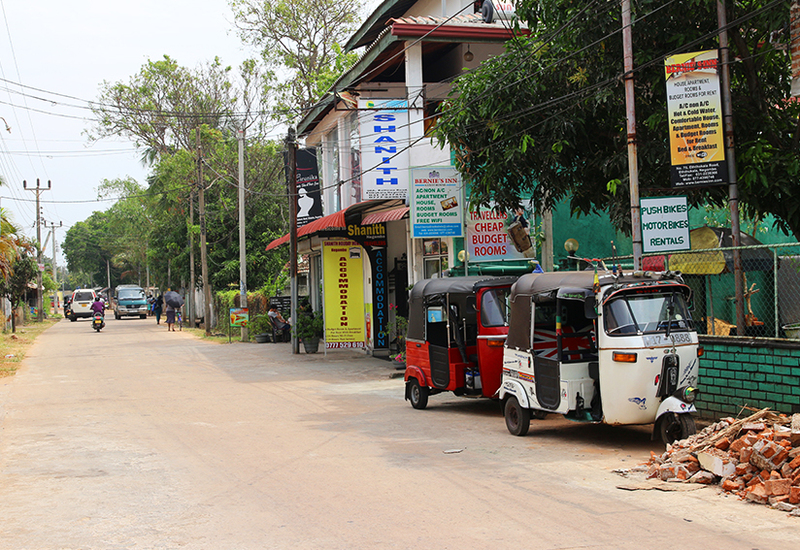 The way the hotel cooperates with the local population is very pleasant and respectful. 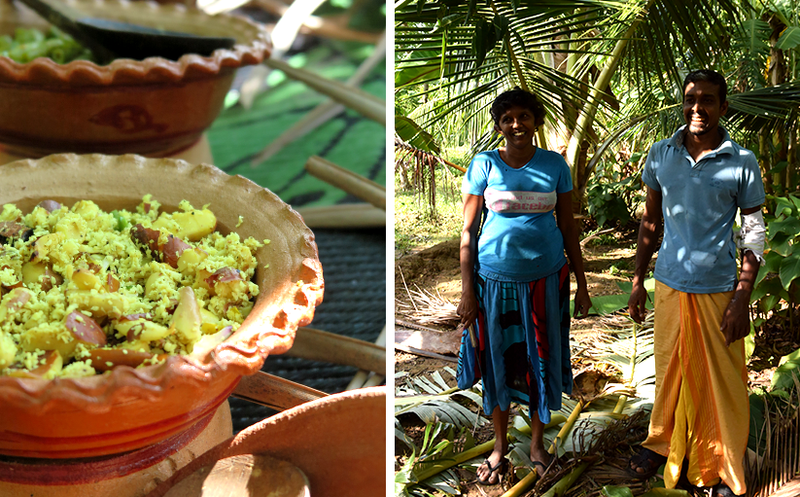 During our stay we enjoyed a self-made Local Lunch hosted by a family in one of their banana fields. 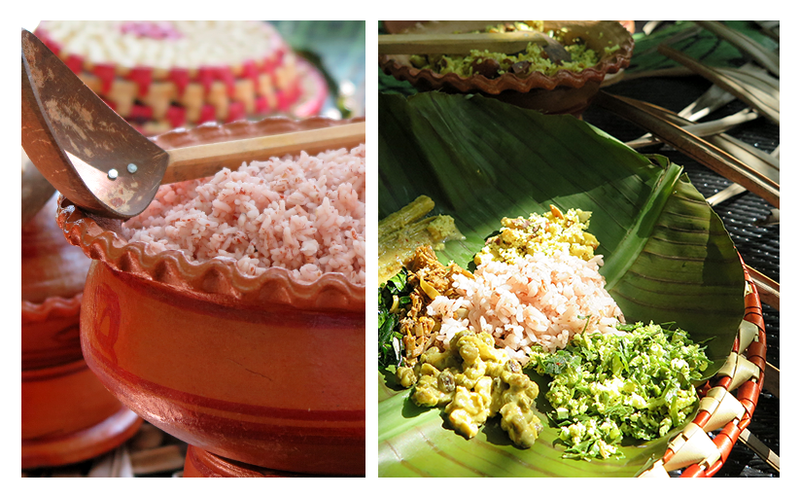 Lunch was served in numerous hand-crafted and painted clay bowls filled with most varied dishes, carefully arranged in the shade under banana leaves. We had fish, spicy curries, varied cooked vegetables, rice and salad. 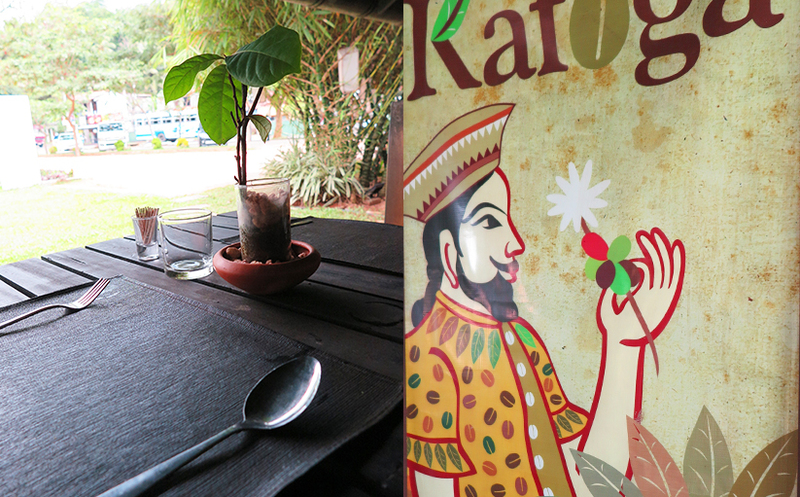 We ate the food with our hands out of palm leaves. How wonderfully simple it is to do without plastic for once. Our hosts were very kind, and we learned a lot about the life of farmers. They talked about the daily challenges and the importance of finding sources for an extra income. 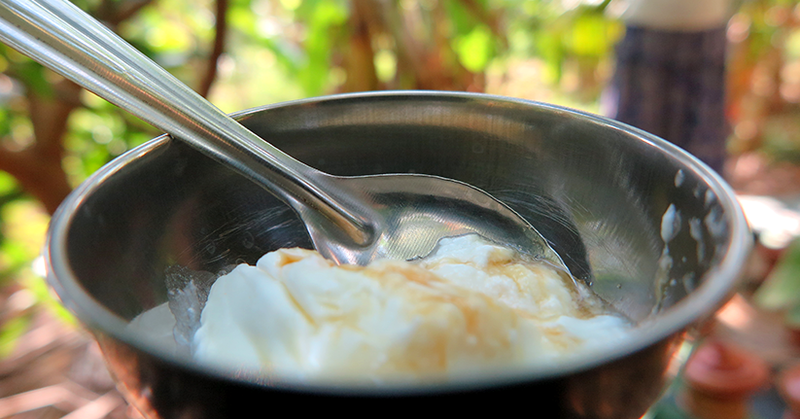 The meal was rounded off with some buffalo yogurt and honey – maybe not everyone’s cup of tea, but definitely worth checking out! 😉 We would like to thank everyone involved again for the lovely time we spent there. We’re sure to come back.